When viewing the Controller > Controlled APs, You may see some of them stuck with a ‘Waiting Acceptance’ status. This happens because the Access Point can contact the controller, (otherwise you wouldn’t even see it). But the controller cant get traffic back to the access point, to update its firmware, or to synchronize it. The root cause of this is usually because this access point is on another subnet that the controller cant get to. 1. Navigate to > Home > Network > IP Routes. 2. 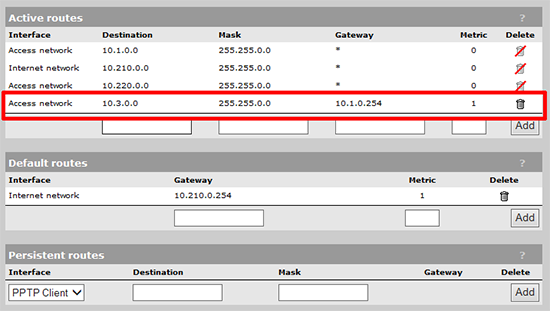 Add an ‘Active Route’ for the subnet the remote network the AP is on (in this example 10.3.0.0/16), and the gateway the controller needs to send the traffic to to get there, (in this example 10.1.0.254). 3. Apply the cup of coffee rule.